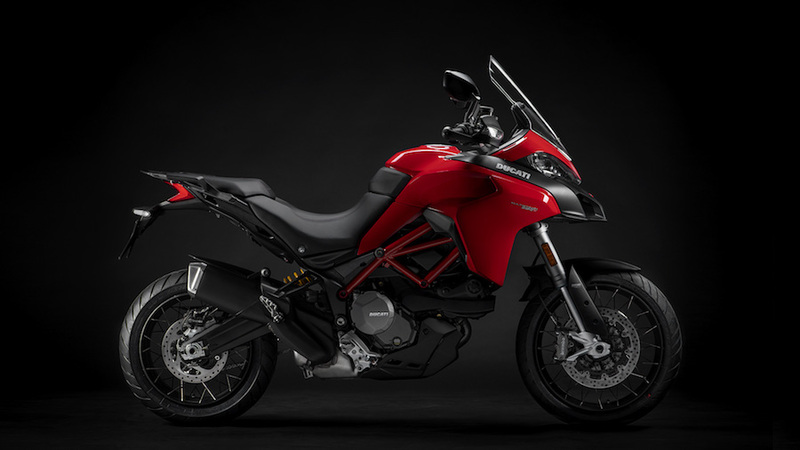 A major upgrade of the smallest Ducati ‘multibike’, this latest Multistrada features electronic Ducati Skyhook Suspension (DSS), Ducati Quick Shift up & down (DQS), full-LED headlight, 5″ colour TFT display, Hands Free system, Cruise Control and backlit switchgear controls. 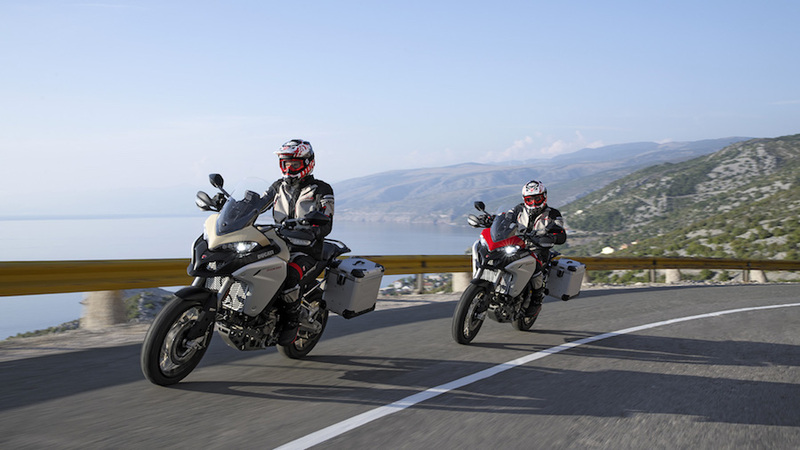 From a styling viewpoint, the new Multistrada 950 inherits the side ‘wings’ from its bigger 1260 counterpart. It also features hydraulic control and Bosch ABS Cornering. Now racier, the new Hypermotard 950 has been given a makeover: the new look takes its cue from the supermotard race world. 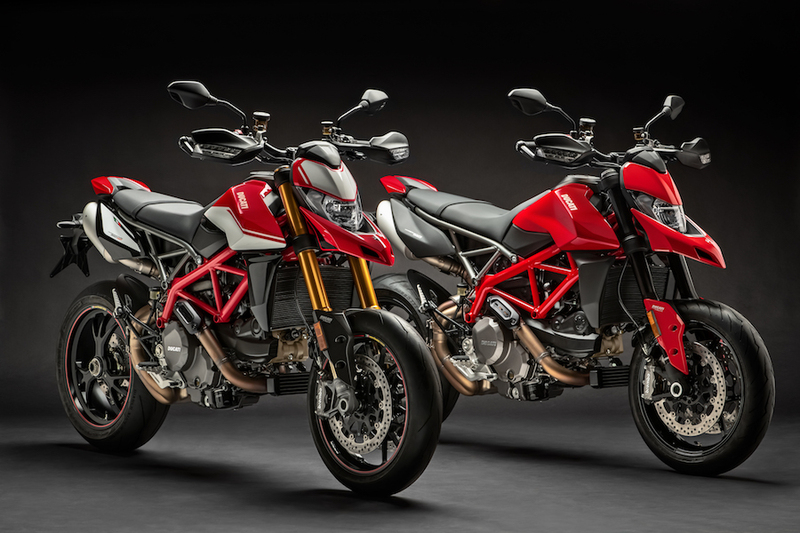 A full 4 kg lighter than the previous model, the new Hypermotard 950 mounts a renewed 937 cm³ Testastretta 11° engine with a more muscular 114 hp, combining greater pulling power with new electronics. The Hypermotard 950 SP features a flat seat, increased-travel Öhlins suspension to ensure an acuter lean angle (+3°), Marchesini forged wheels and Ducati Quick Shift (DQS) Up and Down EVO. 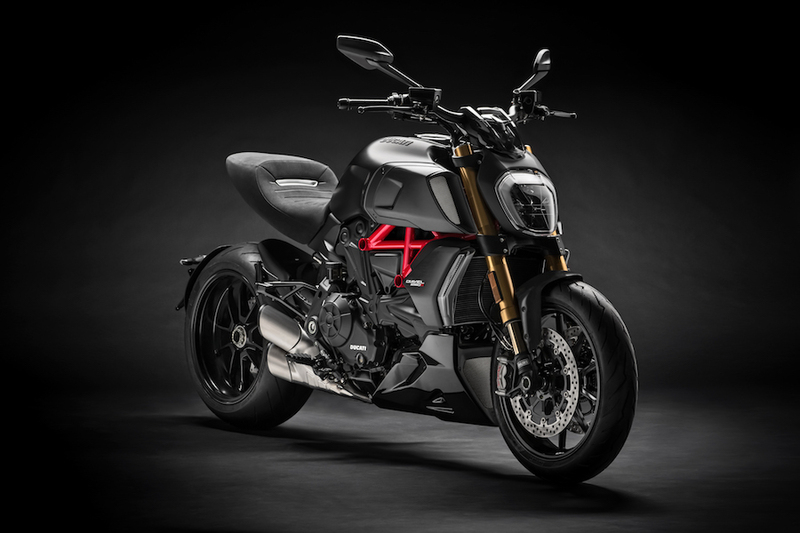 The second-generation Diavel 1260 has a Testastretta DVT 1262 engine, capable of delivering 159 hp (117 kW) at 9,500 rpm and 129 Nm (13.1 kgm) at 7,500 rpm. An upgraded chassis set-up is characterised by a new tubular steel Trellis frame. 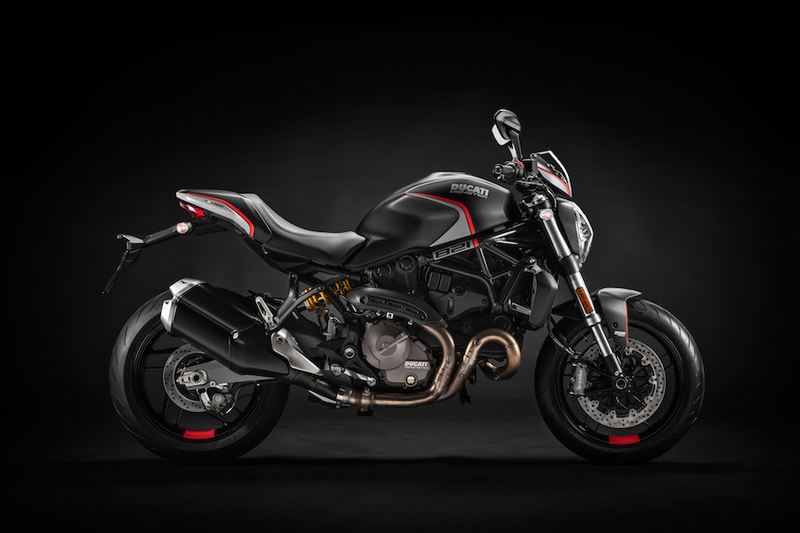 A sportier S version of the Diavel 1260 is also available: features include fully adjustable Öhlins suspension at both front and rear, dedicated wheels and a higher-performance braking system. 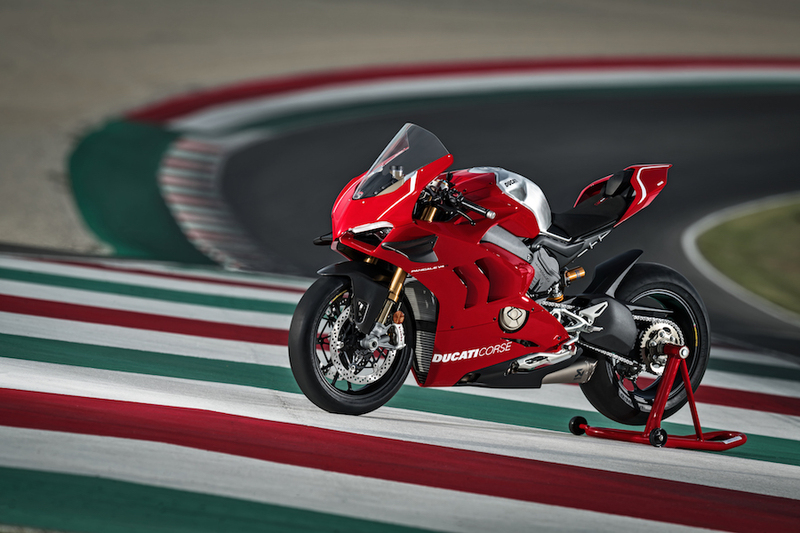 S version mounts Ducati Quick Shift up & down Evo (DQS) as standard to allow clutchless shifting. 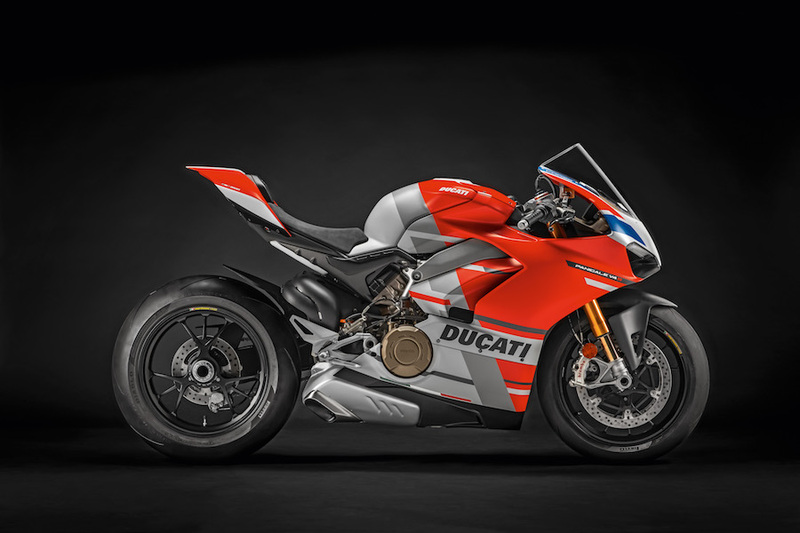 Created using official Ducati MotoGP team colours, it mirrors the special version with the exact same colour scheme that Michele Pirro rode to victory in the Race of Champions at WDW2018. 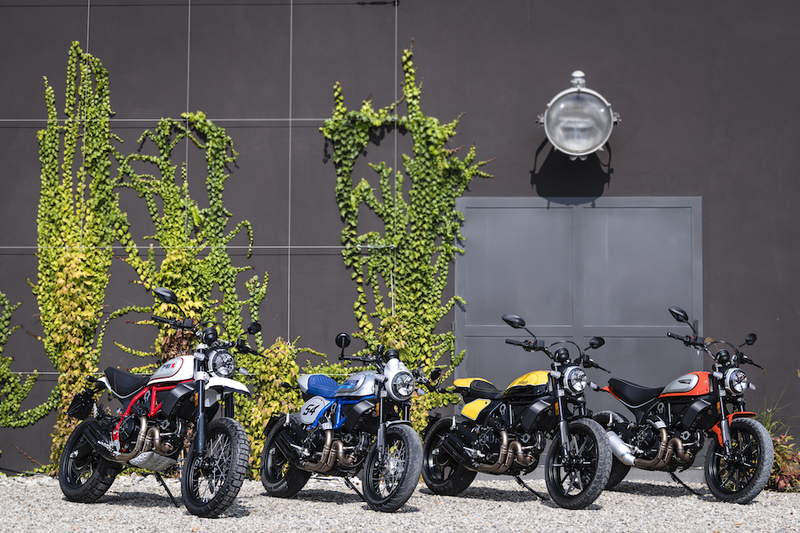 That bike and the other 11 variants that competed in the race were won by twelve lucky enthusiasts in a global auction that attracted record-breaking bids. The new fairing also incorporates the aerofoil appendages developed for the MotoGP prototypes. Made of carbon fibre, they increase stability throughout the ride, to allow for reduced reliance on electronic controls. The Desmosedici Stradale 1103 cm3 engine has been replaced with the 998 cm3 Desmosedici Stradale R. Lighter internal components (which reduce overall bike weight by 2 kg compared to the Panigale V4S, bringing kerb weight down to just 193 kg). Greater air intake efficiency allows faster engine ‘rev-up’ and shifts the rpm red zone higher to ensure improved acceleration. The result is 221 hp (162 kW) of power at 15,250 rpm (EU homologation values), 2,250 rpm higher than the point of peak power on the 1103 cm3 V4. 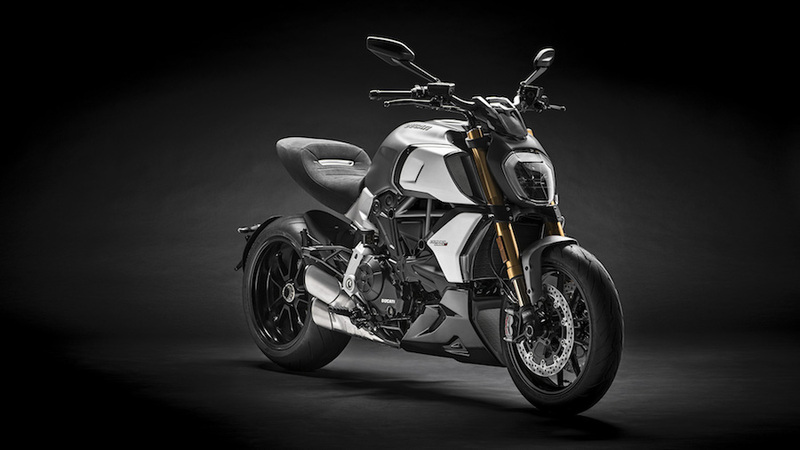 These figures can be taken even higher by fitting the full-racing Ducati Performance exhaust by Akrapovič, which boosts maximum power to 234 hp (172 kW) at 15,500 rpm. Monster 25th Anniversary Monster 821 stealth features matt black livery and red graphics, quick shift system, adjustable fork and nose fairing.